This event is part of the International Coastal Cleanup and National Public Lands Day. Join SOLVE and thousands of volunteers in September 2019 as we support the health of our public beaches, neighborhoods, and natural areas, while cleaning up litter from source to sea! Choose from over 100 litter cleanup and restoration projects across Oregon, including 45 beach cleanup sites along the entire coast. This is a family friendly event, and SOLVE invites all Oregonians to participate. Started in 1984, the SOLVE Beach & Riverside Cleanup is part of the International Coastal Cleanup, an annual worldwide effort to keep our beaches and waterways clean and healthy. To learn more, check out the 2017 Cleanup Report. Every piece you pick up will contribute to this important global effort. Are you interested in helping support our volunteers by being a Beach Captain? If you are looking for a way to get more involved with SOLVE's beach cleanups we would love your help! Beach Captains support our Zone Captains by helping to hand out supplies and orientate volunteers. Follow the link to learn more. 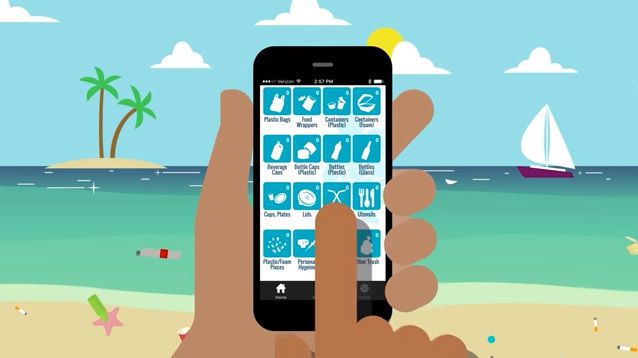 Download the Clean Swell app and help us track litter data during SOLVE litter cleanup events. You can also use a paper data card, which will be available at most cleanup sites. SOLVE extends its thanks to our coastal partners who donate hauling for this event!